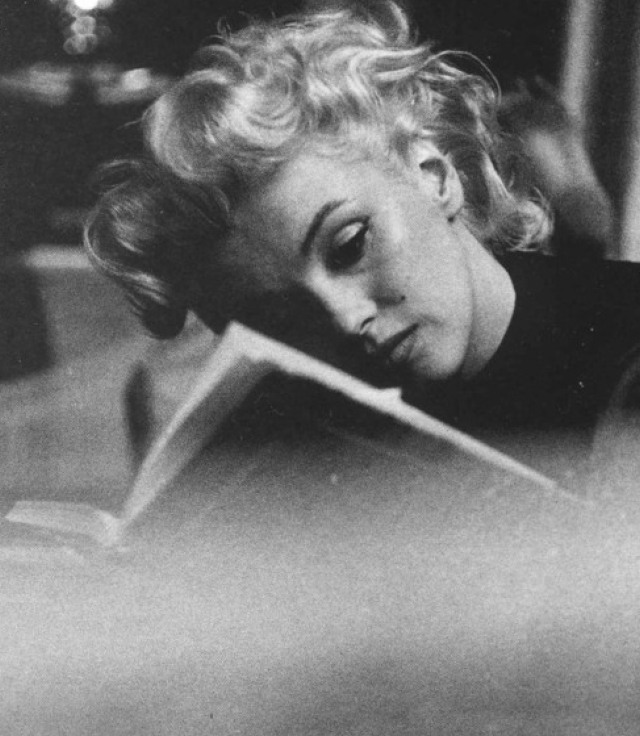 and was- despite a years-long familiarity with the photographs of marilyn monroe reading- for the first time, irrationally infuriated by it. 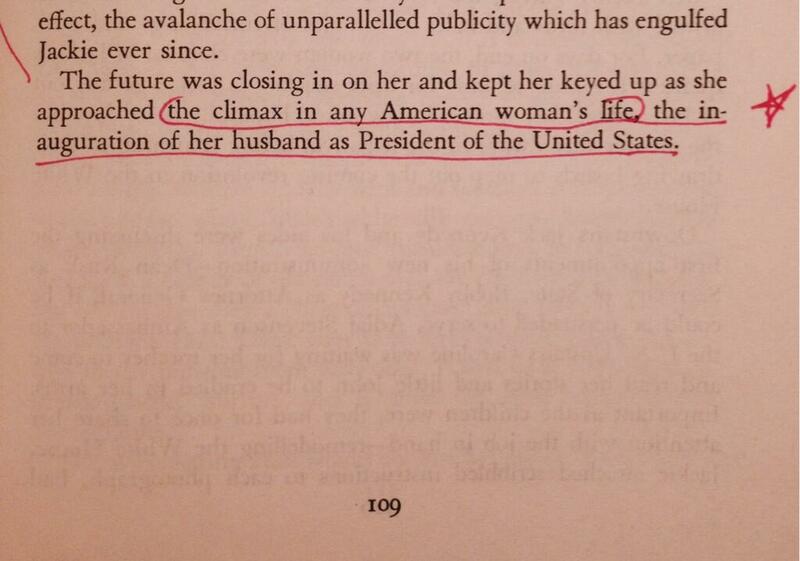 maybe that’s because the very first thing i read this morning was this line in a jackie book saying the highest point in my life as an american woman is marriage to an american president, which probably ain’t gonna happen and so my life is doomed to be subpar. so i’m especially protective of american women today because, by this definition, in our 238 year history, only 46 american women have reached the pinnacle of the american female life, which is- let’s be honest, a dubious pinnacle at best. 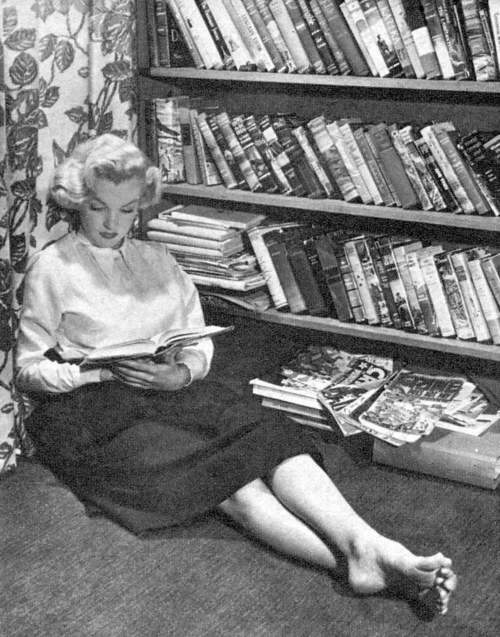 that may seem disconnected but, somehow in conjunction with this nonsense, it finally sunk in that the label of ‘marilyn monroe reading’ is kind of really insulting. 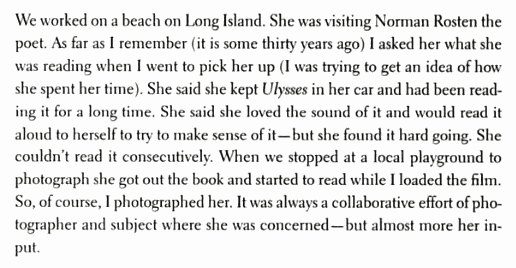 marilyn monroe even read ulysses! 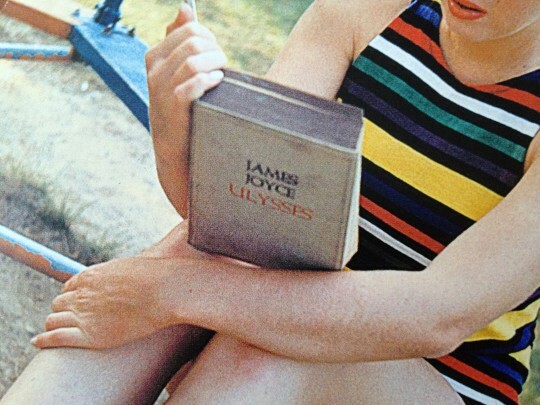 because (1) it’s ulysses! 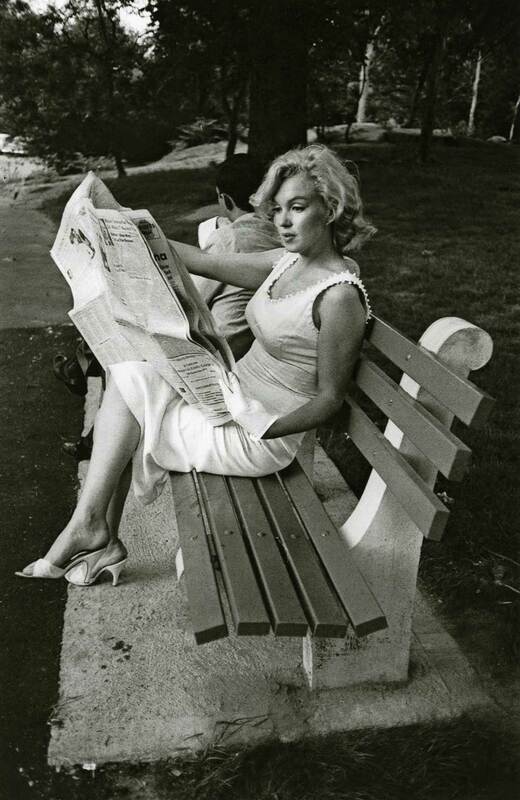 and (2) it’s marilyn monroe! 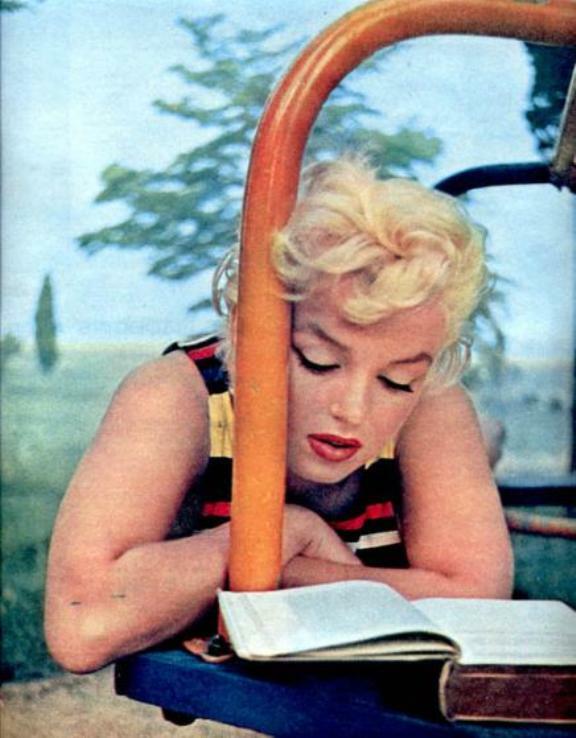 and, in our culture, that presents an unlikely juxtaposition: a pretty girl reading a ‘hard’ book. something that is ‘cute’ rather than natural. 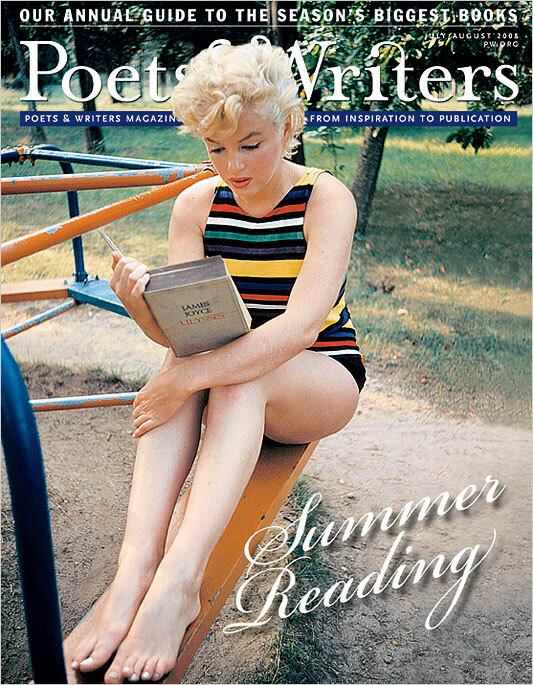 if you’re familiar with monroe’s story, then her reading of ulysses represents something entirely else: a woman without a high school education educating herself. so this could be an empowering thing and in the biographies it often appears as such, but- in the broader culture- we don’t tell it that way. 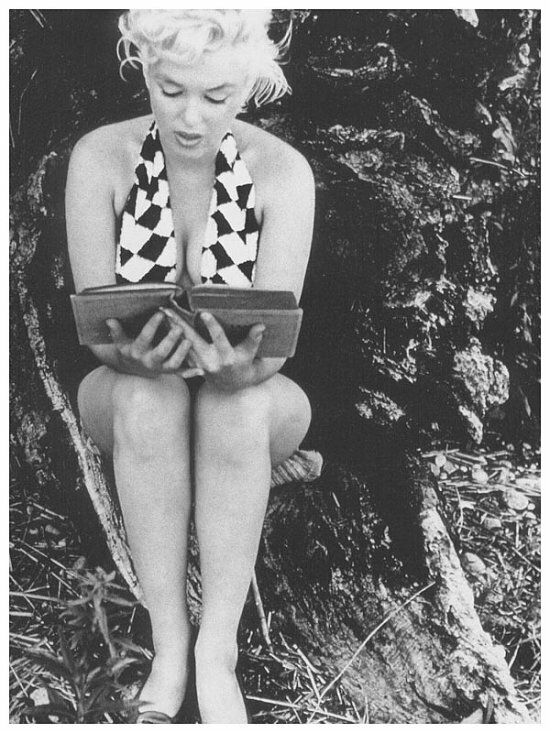 marilyn monroe’s reading of ulysses becomes ‘marilyn monroe reading’, an image of breasts and books that functions primarily as a stimulant of nerd-drool. this should be in no way shocking. 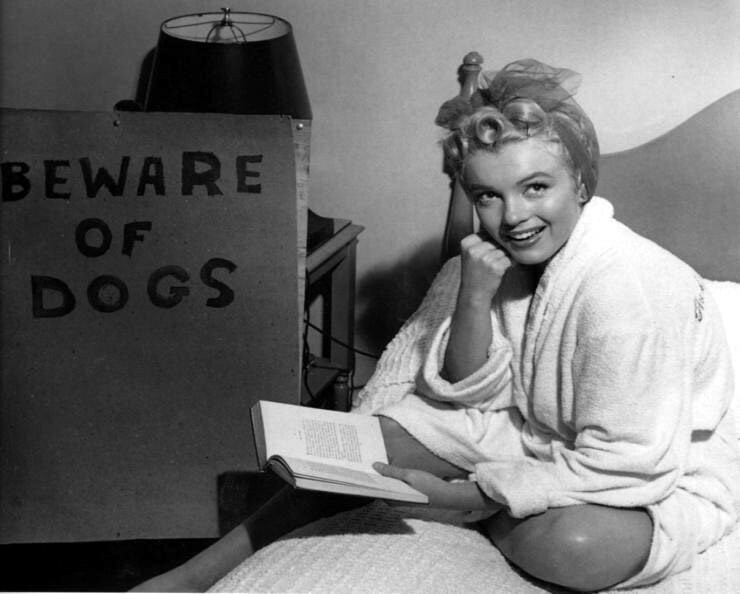 and yet the phrase ‘marilyn monroe reading’ (which brings up 15 million results on google) presents this fact as though it is shocking or, at the very least, out of the ordinary and unexpected. this becomes incredibly clear when you change the name in the phrase. because when you change the name in the phrase, the phrase loses its power. is that not the most obvious thing you ever heard? really, you would never even have reason to say such a thing because it is SO obvious that olivier read and it would be stupid to explicitly point out such a thing. 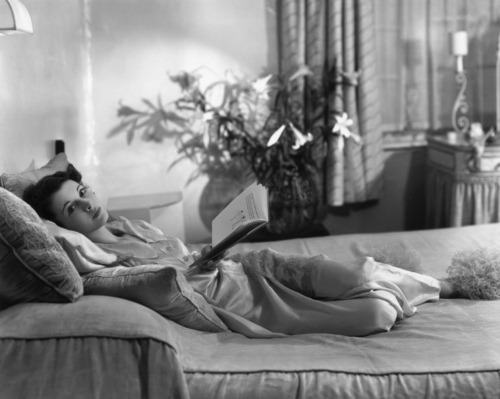 it can sound just as ridiculous with a woman: ‘vivien leigh reading‘ sounds in no way deviant. 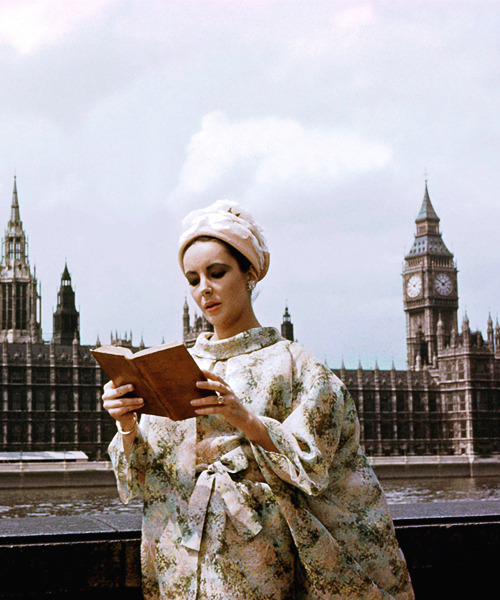 even ‘elizabeth taylor reading‘ doesn’t carry the shock-value of the phrase when the name is monroe’s- though, if i’m remembering correctly, taylor wasn’t much of a reader and, therefore, an image of her reading a book should be rarer and more impactful as a result. but then, taylor didn’t play ‘dumb blondes’ and monroe did. 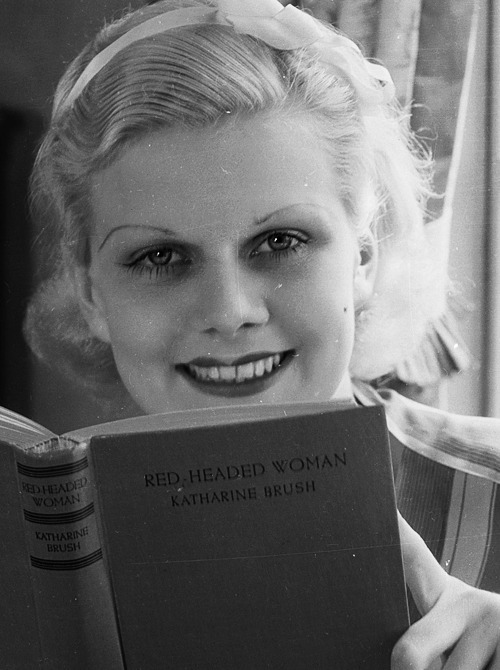 but i don’t think it’s necessarily an equation of ‘blonde woman reading’ seeming more deviant. lana turner and jean harlow wouldn’t seem so shocking. 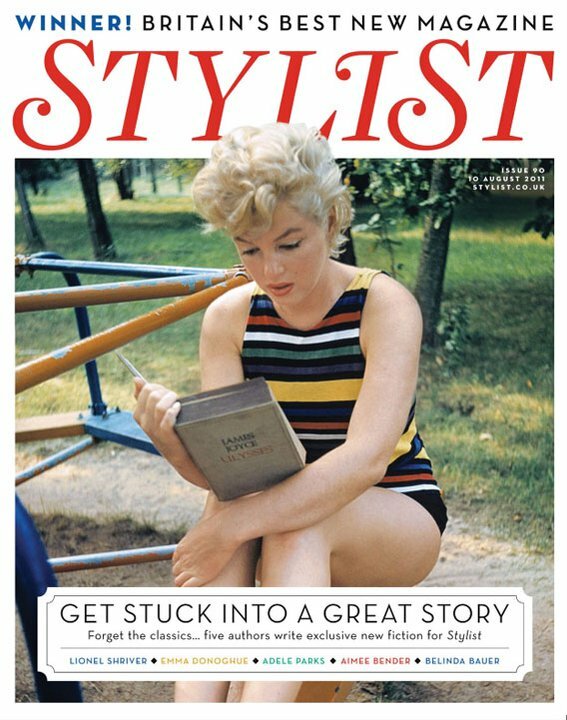 jayne mansfield, i grant you, kinda would, but still not on par with monroe because we’re less familiar with her story. 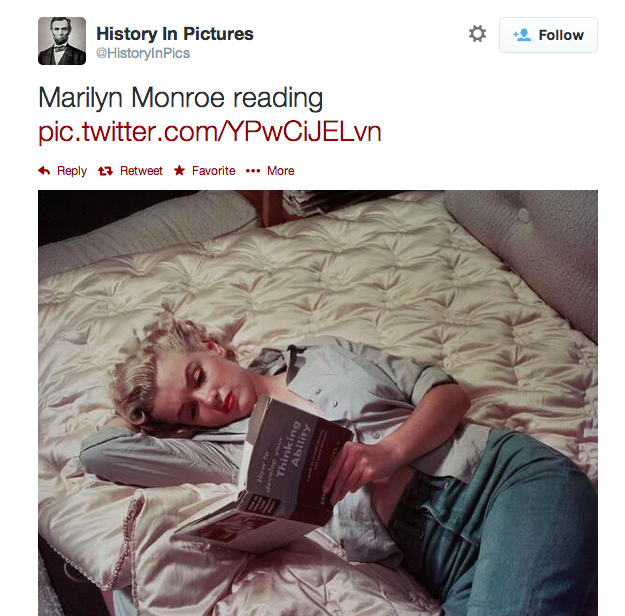 there is, within monroe’s image, a deeply rooted assumption that she was an idiot. a vulnerable and kind and loving and terribly sweet idiot but an idiot nonetheless. 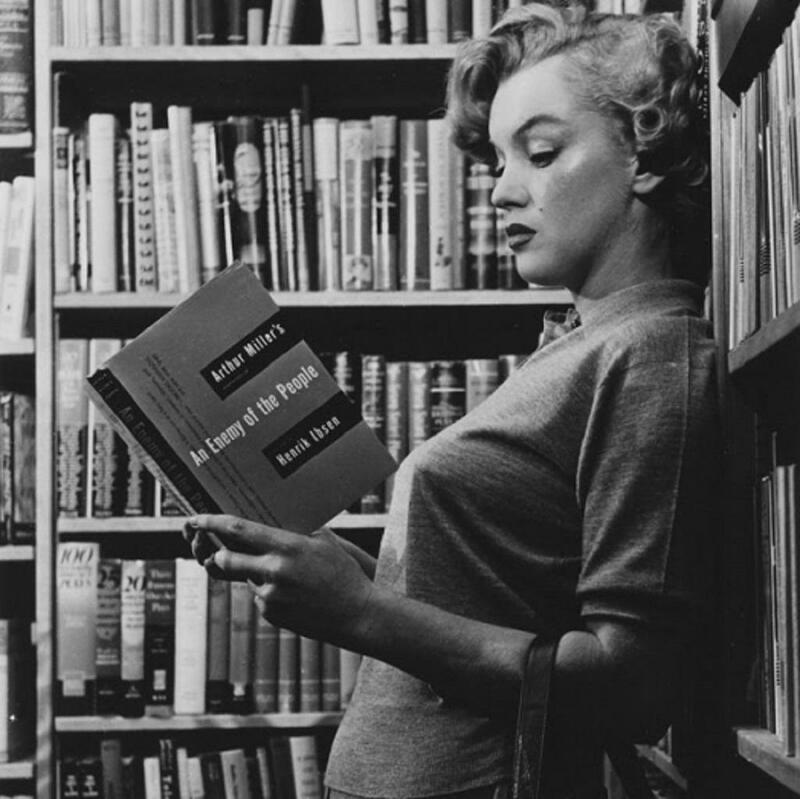 that is the assumption in which ‘marilyn monroe reading’ is entangled. 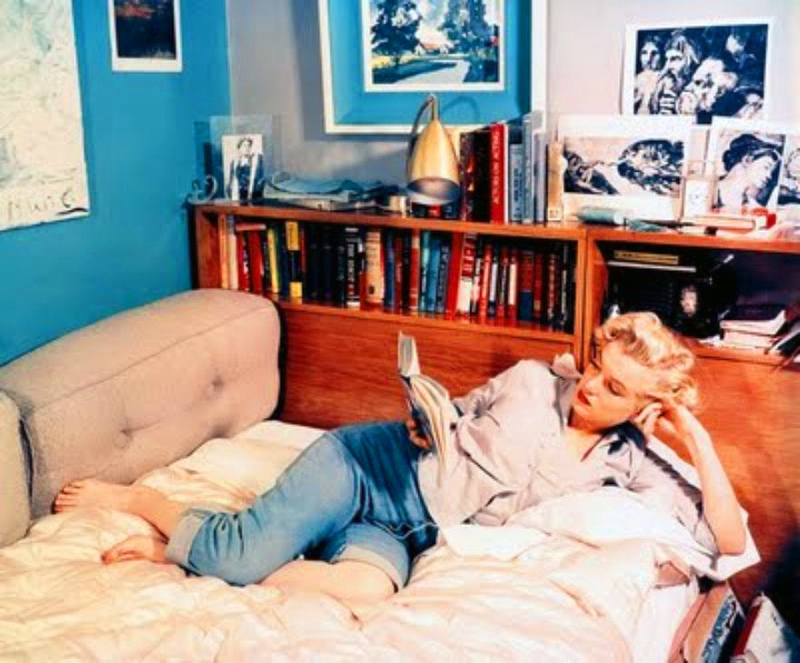 it would be one thing to couch this act in terms of a woman who failed to complete high school bravely furthering her education on her own, but that’s information that the phrase ‘marilyn monroe reading’ doesn’t convey. 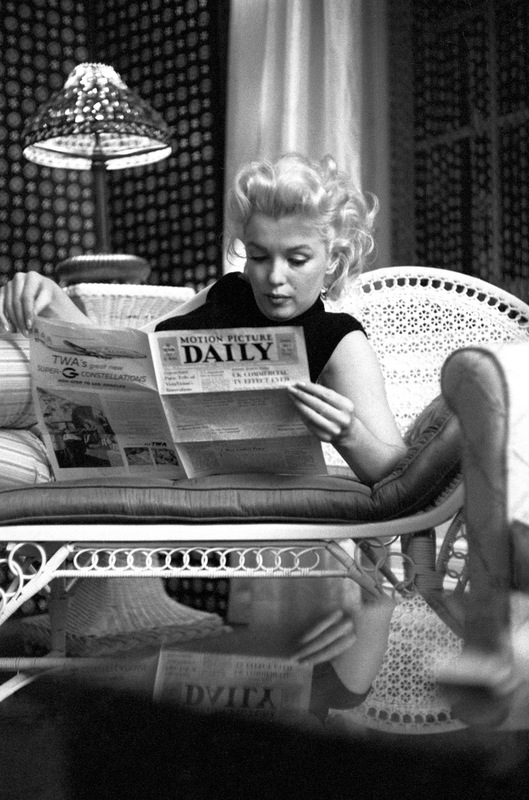 and whilst, in the context in which i encountered ‘marilyn monroe reading’ this morning it wasn’t being used as a joke, we need to realize it’s also not a compliment. lookit! 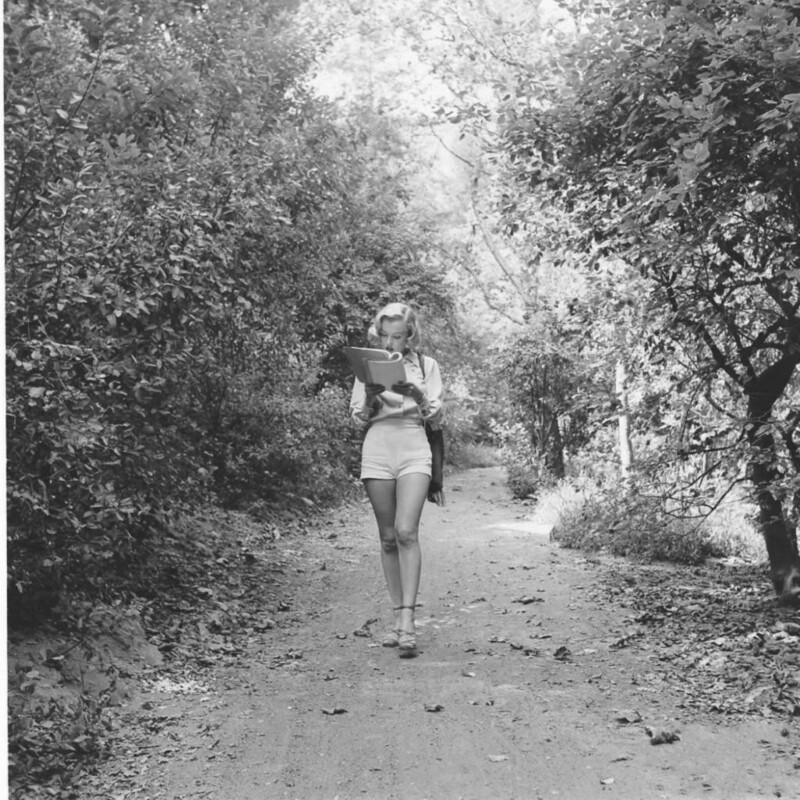 a woman reading! a woman with a small voice and large breasts reading! that’s the subtext. and whether or not it’s intended as a joke, it makes a joke of her. 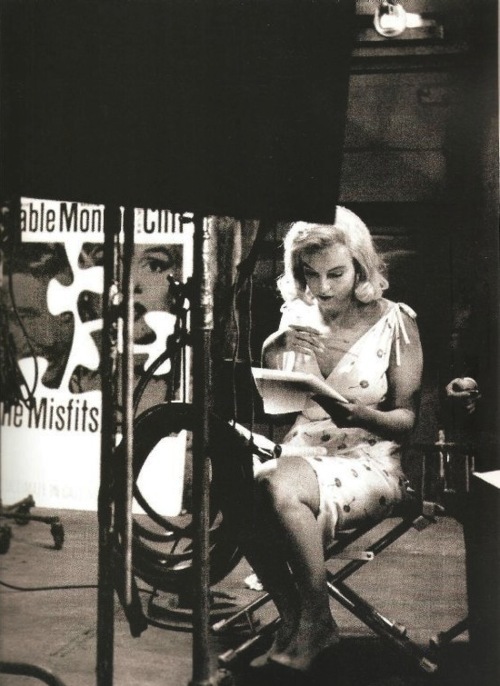 ‘marilyn monroe reading’ implies that there is something shocking within the fact that marilyn monroe is reading. you wouldn’t label a photograph ‘marilyn monroe posing’ or ‘marilyn monroe strutting’ because those descriptors would be unnecessary. strutting and posing are the things marilyn monroe is expected to do. it is still, apparently, seen as unlikely that she would read. This entry was posted in "women", MM. Bookmark the permalink. 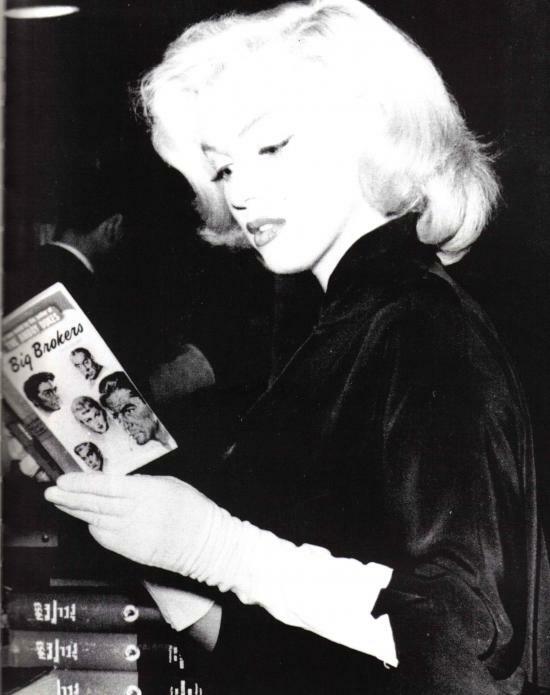 The concept of Marilyn being a heavy reader has been such a thing for such a long time that I’ve almost come to suspect her of being secretly ivy-league educated. But then that’s also in the league of assuming that someone has no brain at all if it hasn’t been to Harvard or Oxford or some other blue ribbon icon of education. What if she had a really curious brain and loved to use it? What if some of our modern day equivalents are the same? What if leveraging your Kardashian-ness is kinda the same as leveraging your Kennedy-ness? Now there’s a concept that’ll atomise some brains.